In March 2014 Gill had a walking residency with Deveron Arts exploring the large expanse of land between the Aberdeenshire / Moray heartland in the north and the Cairngorm mountains in the south, encompassing the Ladder Hills. Gill walked widely, and often slowly, throughout the area, identifying sites or landforms of significance. 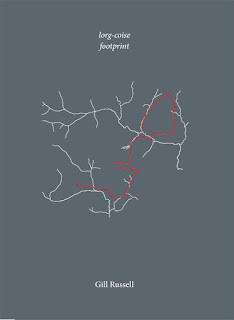 From these explorations she created a book of fourteen thematic map-drawings of walking routes with texts: lorg-coise.